From the glass rotunda in Ikea we could see the incoming planes into Newark airport, the railroad, the Port of NJ/NY. 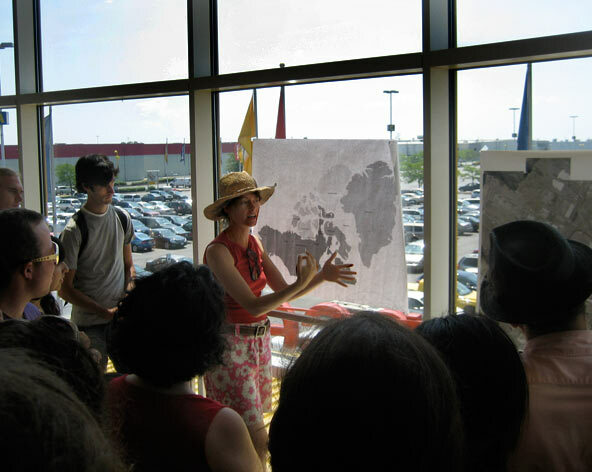 We compared the maps of this intermodal zone with the Northwest Passage, orienting tour participants from within the walls of a huge importer. One of the biggest surprises in Ikea is that a few items are actually made in the USA. They are simply too cheaply sold, to cover their own shipping expenses.